Work injury compensation for office workers. That's our specialty. If you’ve been injured working in an office, we’ll help you get the maximum compensation payments available to you. Our specialist work accident injury lawyers ask more questions and get to know you personally, so you’ll get more compensation. I’ve been injured working in an office. What should I do? Workers compensation isn’t just for manual labouring work injuries – the workers compensation scheme exists to protect all workers. 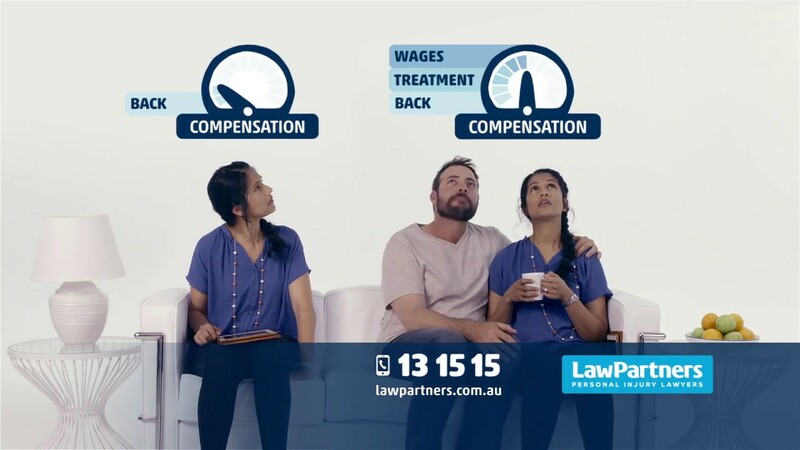 So compensation is also available to people injured in office workplace environments. Many office injuries like neck and back pain are sustained from long hours at poorly designed workstations or from repetitive actions. Injuries from lifting heavy objects like archive boxes are also common, especially when appropriate lifting equipment hasn’t been provided. Whether you’ve been in an accident or sustained an injury that’s developed over time, you should report your injury to your employer and ask them to notify their workers compensation insurer. If you’re not sure whether you have a valid claim, it’s best to speak to a specialist work injury compensation lawyer as soon as possible and get advice. The amount of compensation you receive will largely depend on providing evidence that your injury was caused by your workplace injury or your working environment. Your Law Partners solicitor will arrange for all the medical and other evidence needed to support your claim, however you can assist by gathering all the evidence you can, such as photos of the office accident location or the workstation where the injury occurred, especially highlighting issues like poor seating position. Keeping a diary of what’s happened to you is also helpful. If you need help with gathering evidence you can call Law Partners and we’ll provide free advice over the phone. What's the process for returning to work? Once you’ve suffered an injury, your employer is required to take steps to prepare you for a safe return to work. Under the WorkCover Guidelines for Return to Work Programs, this includes arranging an appropriate treatment plan with a workplace rehab provider who has been selected in consultation with you. Quite often, the rehab provider is selected for you by the insurer. If you’re unhappy with the provider selected, you can request your own preferred WorkCover approved provider. What's a work capacity assessment? A work capacity assessment undertaken by the insurer is a review of your ability to return to work. It’s an ongoing process of assessment and re-assessment which starts on notification of a workplace injury, and continues as needed throughout the life of a claim.